The population over 65 continues to grow, and it should be no surprise that seniors need different living arrangements than younger people. As the senior population has increased over the past decades, senior housing options have grown up alongside. Although many people will continue to live independently or with their families, others want to maintain independence but need some additional amenities. In this article, we discuss some of the emerging trends in senior housing that we expect to see continue into the new year. Housing options targeting those 65 or older open practically every day, especially in Florida. As a result, the senior housing market is competitive. Proximity to restaurants and shopping. Senior housing increasingly has opened in urban areas near the downtown, but it could also be built near suburban shopping malls. Some senior housing is located near parks and walking trails to encourage residents to get outdoors and enjoy themselves. First floor shops and business that can cater to the residents. Arts and crafts rooms, to promote their residents’ creative sides. Men, in particular, complain that they can no longer work in their garages when they move into senior housing. With the advances in medicine, people are living longer. Unfortunately, medicine has not been able to prevent the onset of Alzheimer’s disease or other dementias, so increasing numbers of seniors are experiencing this cognitive frailty in their later years. Senior housing has responded. Because many seniors with dementia like to wander, senior housing has tried to create enclosed courtyards that allow residents to go outside but not stray too far from the facility. Other design features try to reduce the stress that dementia patients can feel by, for example, replacing doorbells with flashing lights. Many of today’s seniors are environmentally conscious, and the housing market has responded by increasing the energy efficiency. Some senior housing uses solar power or geothermal wells for power, heating, and cooling. These innovations can also make living in the senior housing more affordable by decreasing the costs of utilities. One perennial problem with senior housing is isolation. Residents complain that they feel cut off from the rest of the population and only see other seniors. To address this complaint, many senior facilities have begun to increase their connection to the outside world. For example, they open their facilities to the larger public for use. However, security is still an issue, so often the public uses a separate entrance. Senior communities have also increased the opportunity for residents to learn by increasing the number of education courses offered. Some new communities are also located near universities and community colleges. Millhorn Elder Law Planning Group in the Villages is a top-rated law firm that can handle all your elder law needs. 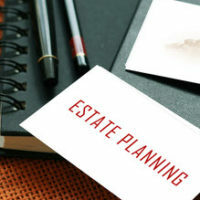 If you have an estate planning, probate, or trust administration issue, we can help. Please call us today to schedule your free consultation by calling 800-743-9732.